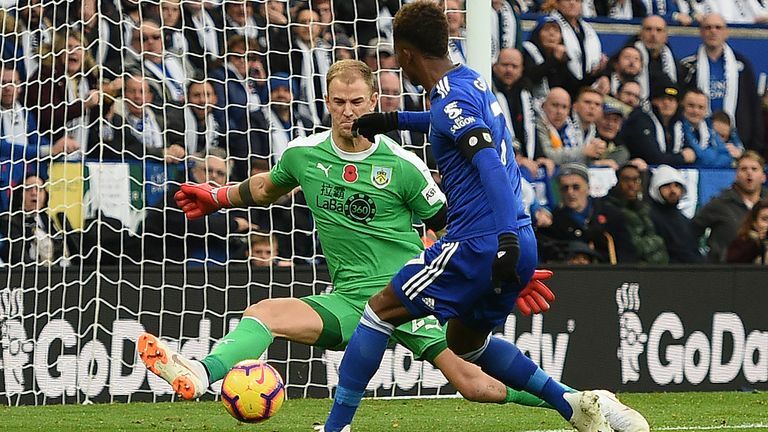 Leicester and Burnley played out a goalless draw in the first home game since Vichai Srivaddhanaprabha's death on a difficult and emotional day at The King Power. Thousands of Leicester City fans marched pre-match on Saturday to honour former owner Srivaddhanaprabha and four others, who were killed when their helicopter crashed following Leicester's previous home match against West Ham. A two-minute silence was held among other tributes before kick-off where Vichai's son Aiyawatt laid a wreath in front of a full house at the King Power, who held commemorative scarves with the words "Forever In Our Hearts." On the pitch, Leicester created ample opportunities in the first half as Jamie Vardy had an effort cleared off the line and Rachid Ghezzal hit the crossbar. However, they ran out of steam on an emotional week for all concerned with the club. Following the pre-match tributes that visibly moved many of the fans, Leicester started with plenty of pace. Wilfred Ndidi's skidded an effort wide while Vardy's drilled strike was cleared off the line by Matt Lowton. Marc Albrighton was a constant threat down the right and clipped a cross in which was headed onto the crossbar by Ghezzal as Leicester pinned Burnley deep inside their own half. Joe Hart then had to produce a fine save to thwart Demarai Gray's effort after Vardy linked well with the winger. Burnley came into the game in the second period but carried little attacking threat. Chris Wood should have done better when he volleyed a Robbie Brady cross over the bar from 12 yards. The emotions of the week seemed to be taking its toll on the Leicester players in the closing stages but they almost won the points when Shinji Okazaki's header dropped inches wide. 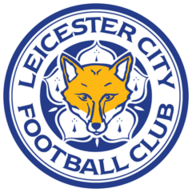 Leicester City are unbeaten in eight home league matches against Burnley (W4 D4) since losing 0-1 in November 2007 in the Championship. Burnley have failed to score in a joint-league-high six Premier League games this season. Leicester mustered 22 shots in the game, the most they have attempted in a Premier League game without scoring since they returned to the top-flight in 2014/15. 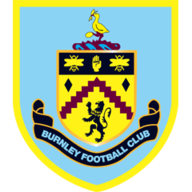 Burnley manager Sean Dyche has never won a league match at the King Power Stadium (W0 D3 L3), taking charge once with Watford and five times with the Clarets. Leicester failed to score in a Premier League game this season for the first time, with every side now failing to score in at least one top-flight game this season. Burnley had to do a lot of defending, especially in the first-half. Lowton epitomised their steel and solid organisation with a determined display that included a clearance off the line from a Vardy strike and various brave clearances from one of 12 corners Leicester sent into the Burnley box. He also managed to keep rampaging Leicester full-back Ben Chilwell very quiet. "The respect shown was overwhelming. It does reconnect on how important football is to communities. The Leicester community have been amazing for their respects shown." "There's a lot of pride for my players because they played a strong game against a good team and defended very well. "We created a lot of chances with the best intensity. Our performance was brilliant in the first half with lots of chances, we hit the post and the bar. We are unlucky in the end, a little disappointed, of course, because we wanted to honour our chairman with a win." 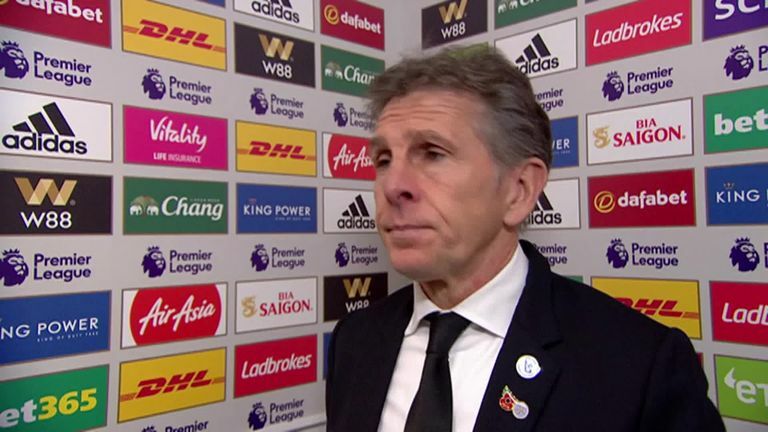 Following the 0-0 draw with Burnley, Leicester's Claude Puel says he's proud of his players after a difficult period for the club. Leicester travel to Brighton after the international break while Burnley host Newcastle on Monday Night Football, live on Sky Sports Premier League.